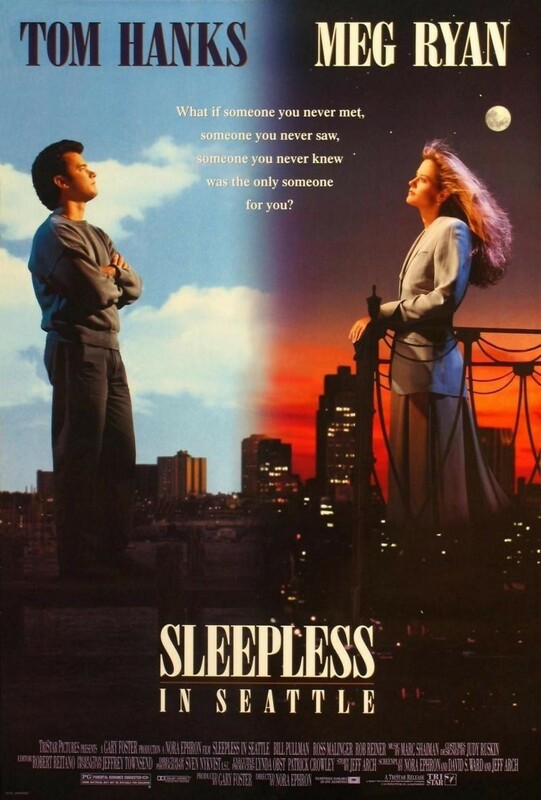 Tom Hanks and Meg Ryan, who would go on to star in "You've Got Mail" together, first teamed up for the charming Nora Ephron romantic comedy "Sleepless in Seattle." The title comes from the moniker given to Hanks' character, widower Sam Baldwin, after his precocious son Jonah calls a radio therapist to talk about his dad's loneliness and try to do something about it. Millions of women hear his sensitive musings and are moved, but Annie Reed becomes obsessed. Though Annie's engaged, she can't stop thinking about this man on the opposite end of the country, and she conspires to meet him. Meanwhile, Jonah has chosen her letter from hundreds they have received and is making his own plans for his dad to meet her.